100 Women in Finance (“100WF”), a global, practitioner-driven nonprofit organization that serves more than 15,000 professionals in the finance and alternative investment industries, today announced selection of Changing Young Lives Foundation (“CYLF”) as its 2018 Hong Kong beneficiary. Established in 1996 as registered Hong Kong charity, but with a record of service that dates to the 1950s, CYLF provides educational, developmental and empowerment services to underprivileged and marginalized children in Hong Kong. Since 100WF’s launch in 2001, the organization has raised an excess of USD $44 million (gross) for charitable causes around the world. Every year, in major financial centers, 100WF raises funds based on rotating impact themes of Education, Mentoring, and Women’s and Family Health. In 2018, 100WF’s global theme is Education. Funds raised by 100WF in Hong Kong will be used to support CYLF’s programs at its Shek Kip Mei district preschool and after-school center. 100WF’s primary fundraising activity will be its annual Hong Kong Gala dinner, scheduled for November 8, 2018 at the iconic City Hall Maxim’s Palace, Central, Hong Kong. Each year, the event is attended by senior executives from Hong Kong’s finance industry, including alternative and traditional asset managers, investment banks and service providers, who come together in support of a local organization that meaningfully improves the lives of Hong Kong’s residents. 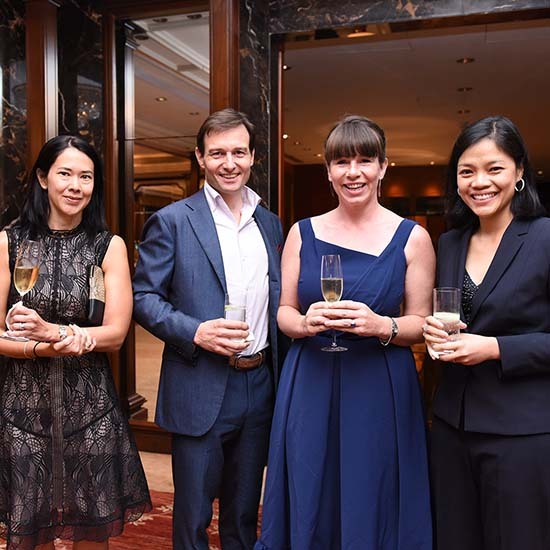 More complete information about 100WF’s 2018 Hong Kong Gala, including ticket details, can be found here. Sponsorship and other inquiries may be directed to the Hong Kong Gala Committee. Previous 100WF Hong Kong beneficiaries have been the Karen Leung Foundation (2017), The Women’s Foundation (2016), 100WF Hong Kong Foundation Limited’s Investing in the Next Generation Initiative (2015), the Hong Kong Cancer Fund (2014) and the Hong Kong Award for Young People (2013). Changing Young Lives Foundation (CYLF) is dedicated to rewriting the life stories of thousands of underprivileged children and marginalized youth in Hong Kong and Mainland China every year by providing them with 100% free of charge center-based and outreach programs in education, talent development and self-empowerment, unleashing their potential to maximize their opportunities at school and work, and inspiring them to live their life to the fullest.